Art cars are amazing things. Most car enthusiasts know of the BMW art car collection, where BMW had famous artists like Andy Warhol paint iconic designs on BMW models, but art cars come in all varieties. Some are promotional materials, like the one created by a Dallas DWI lawyer to promote his law firm and discourage drinking and driving. 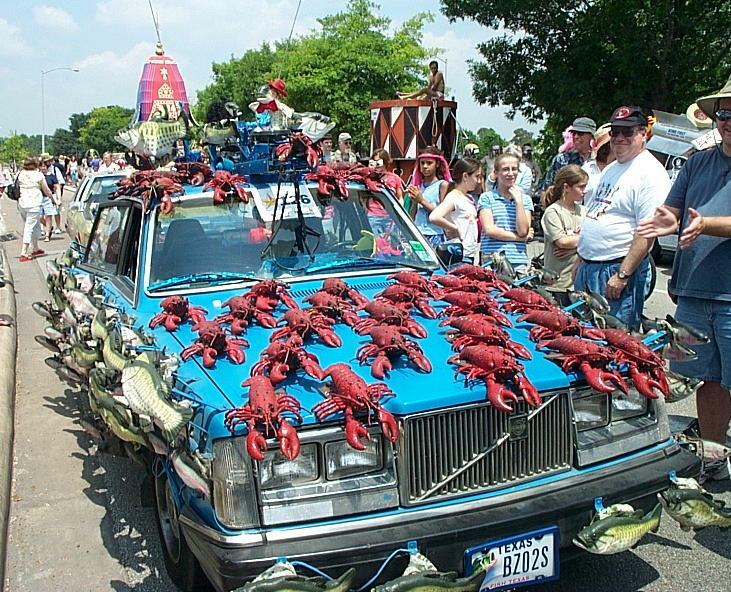 Others are for comedic value, like the Volvo pictured below covered with hundreds of singing and dancing lobsters and fish. Of course there are also plenty of cars that have become rolling sculptures with thousands of painstaking hours poured into the metalwork and details. For some reason, Texas has become the unofficial home to the art car. 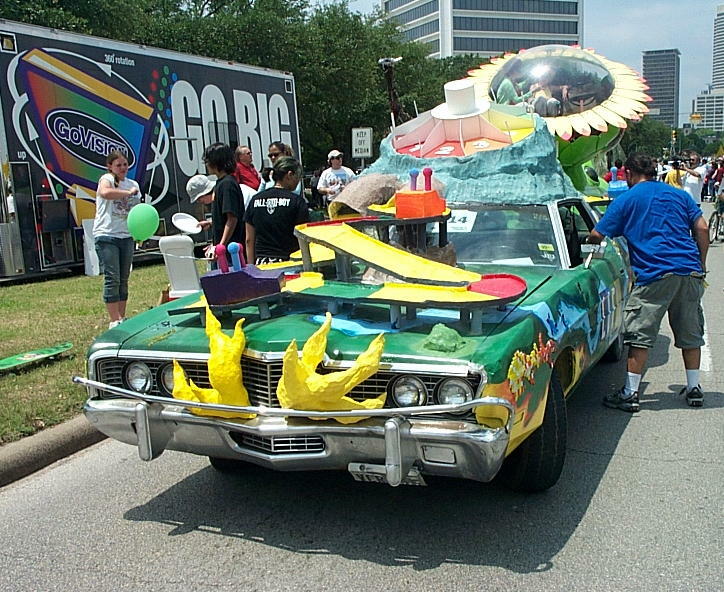 Houston claims the World’s Largest Art Car Parade, which is where these photos were taken. 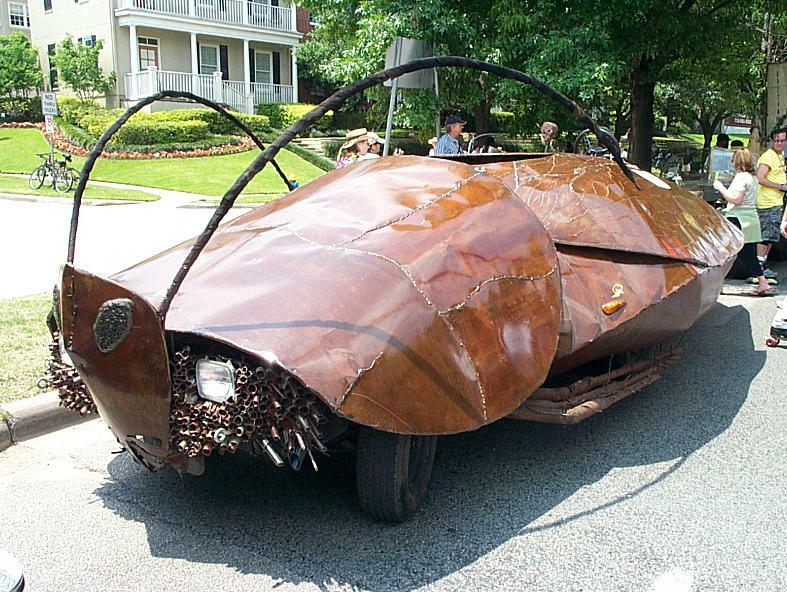 There is also an Art Car Museum located in Houston. ArtFest in Dallas is another great location for seeing a large collection of art cars. Check out the photos below and maybe you’ll be inspired to create your own art car! 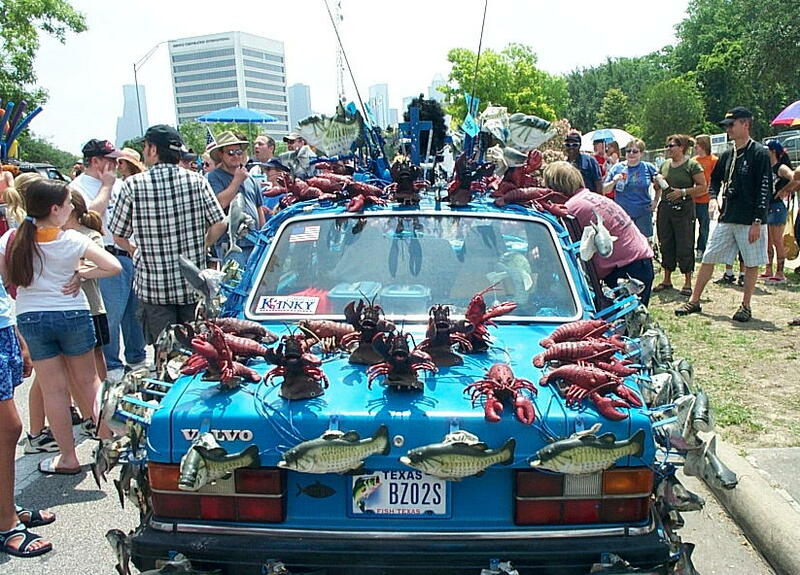 Whether it’s a promotional item for a Dallas DWI lawyer or simply a display of your love for singing lobster, art cars are a lot of fun! 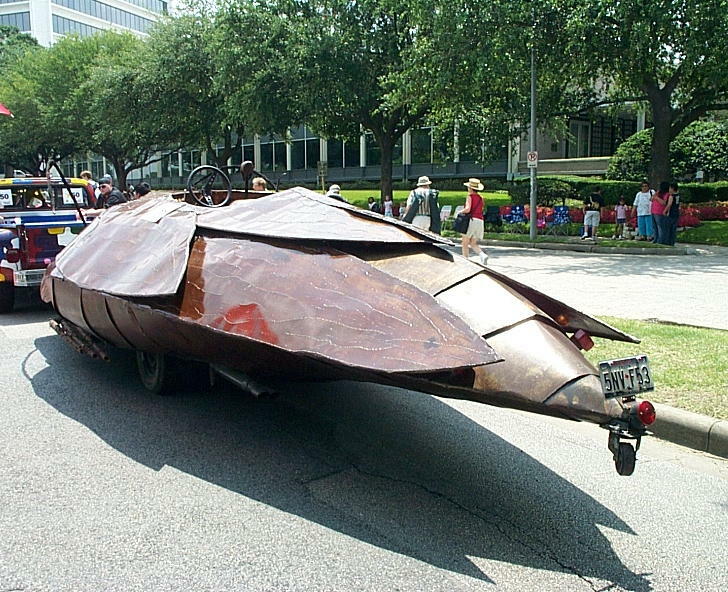 This entry was posted in Art Car Show, Houston, Texas 2005 on July 5, 2005 by John Trotta.